While Microsoft publishes security and stability updates on second Tuesday of every month, there are times when critical fixes, stability updates and Service Packs are released outside the schedule. That's why you should set your computer to look for available updates on daily basis. 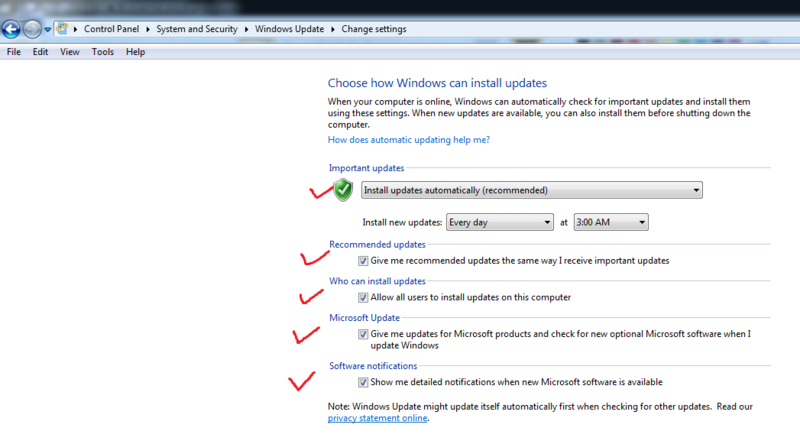 In the Choose how Windows can install updates window, make sure Install updates automatically (recommended) is selected. Next, ensure that both Give me recommended updates the same way I receive important updates and Allow all users to install updates on this computer boxes are checked. In Windows Vista and 7, select Every day and set the time when your computer is most probably turned on in the Install new updates combo boxes. 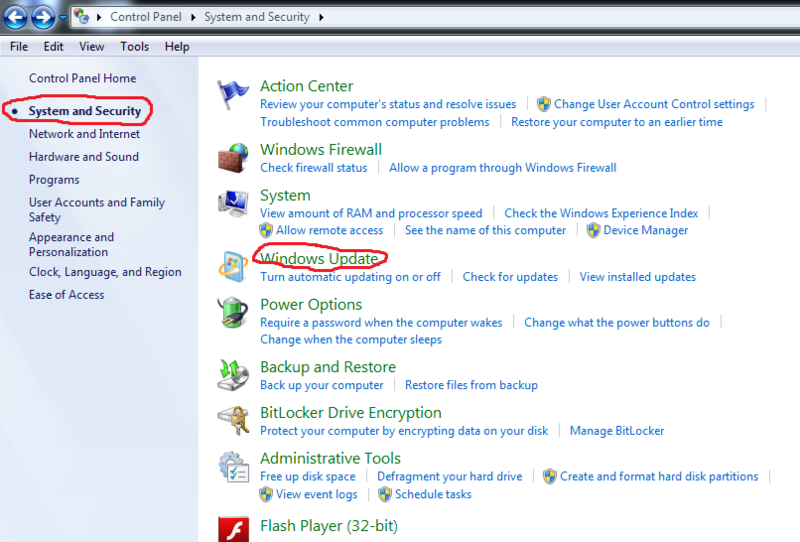 In Windows 8 and 8.1, click the Updates will be automatically installed during the maintenance window link instead. Then, in the Automatic Maintenance window, set the time when your PC is most probably turned on in the Run maintenance tasks daily at combo box. Click OK. Finally, click OK to apply settings. 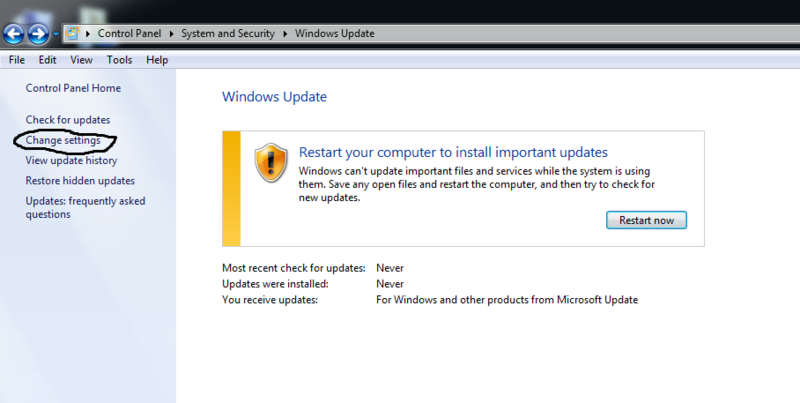 Do not close the Windows Update window yet! In case you have already enabled Microsoft Update in Windows Vista and 7, there are two more combo boxes available - Give me updates for Microsoft products and check for new optional Microsoft software when I update Windows and Show me detailed notifications when new Microsoft software is available. Make sure both of the options are turned on. Last but not least, after installation these installer files are no longer needed, it is more than necessary that we clean them up. 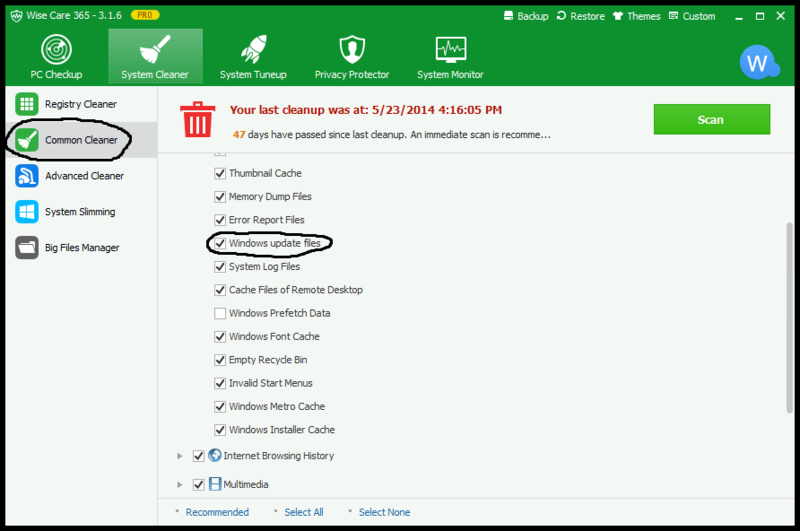 I recommend you download Wise Care 365, and there is one item called Windows Update Files in Common Cleaner, which is checked by default. Run it and all the Windows update files are removed. Note: If your PC is not turned on (or not connected to the Internet) at the scheduled update time, Windows will still check for updates the next time you start or restart your computer.